Hey guys! My friend over at Drew’s Movie Reviews has nominated me for Liebster Award. Thanks! I figure it would be a fun way for you all to get to know me better. A reminder my regular blog has a lot of this information about me at smilingldsgirl.com. My regular blog does get into politics and religion a little bit so not for everyone but I try to have a variety. So here are the rules to the Liebster Award. Can you wiggle your ears? No. I wish I could! Do you watch any web series? If so, what’s your favorite one? I don’t watch any because they tend to be pretty R rated in content. I liked Dr Horrible’s Sing Along Blog and will watch Mindy Project now that it is moving over to Hulu. There are a lot of shows I watch online like Rick and Morty but are still aired on cable. What is the first movie you remember watching in the theaters? Little Mermaid and Home Alone is the first comedy I remember. Do you prefer 3D or 2D movies or are you indifferent? 2D because I have a lazy eye so 3D is tough for me. Do/Did you play any sports? Which ones? I’m an open water swimmer. What is your favorite video game? Not a video game fan so I guess Tetris. If you had a time machine and could go back in time without consequence of messing up the future, where and when would you visit and why? This is going to sound cheesy but it’s true I would go back and meet Jesus, hear the Sermon on the Mount. What is your favorite thing about blogging or being a blogger? My favorite part is the experience of writing whether it be a movie review or a more personal entry on my regular blog. 2. I hate driving. If I could have a chauffeur I would never miss it. 3. I love subscription boxes and review them on my youtube channel along with movies. 4. I got my dream job last year working in social media marketing. 6. I’ve swam and completed 8 open water races including swimming the Great Salt Lake Open Water Swim 4 times. 8. I met Jackie Chan and his autobiography is actually super good. He’s had an insane life growing up in an orphanage that performed Chinese opera. 9. I have an MBA from University of Phoenix and a BA from Brigham Young University. 10. I served a mission for my church in Indiana from 2003-2005 so pretty much any movie during those years I haven’t seen except for Incredibles, Return of the King, and HP 3. 11. I’ve had surgery on my eyes twice to correct a lazy eye and I can’t see those darn Magic Eye pictures and I hate them! 1. If you had to pick music, movies, or books what would you pick? 3. What movie do you think is actually better than the book? 4. What is the best dish you cook? 6. What’s worst date you’ve ever been on? 9. Who would play you in a movie about your life? 11. What’s the movie you went to see in the theater multiple times the most? There you go! Feel free to give me your answers in the comments section or answer them even if not tagged. I wasn’t sure who had recently been tagged so I didn’t know who to pick. Have fun! 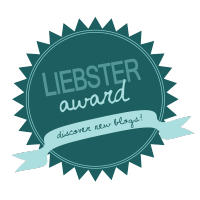 Did the Liebester award over on the movie blog and thought you guys might get a kick out of some of my answers. Lately I’ve been a little stumped on writing topics so if you have any ideas let me know. You met Jackie Chan!? I’m insanely jealous. 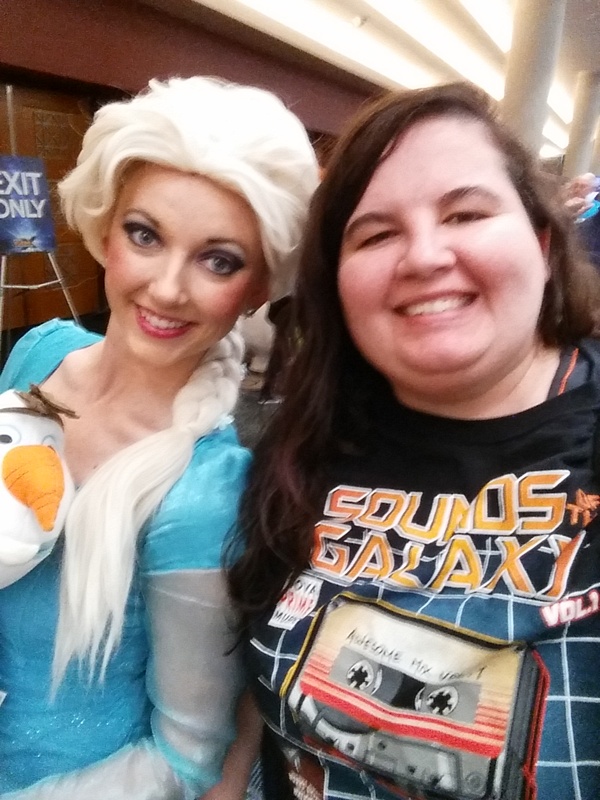 That is an awesome picture of you and Elsa, especially with that Guardians shirt. Great job and well deserved!